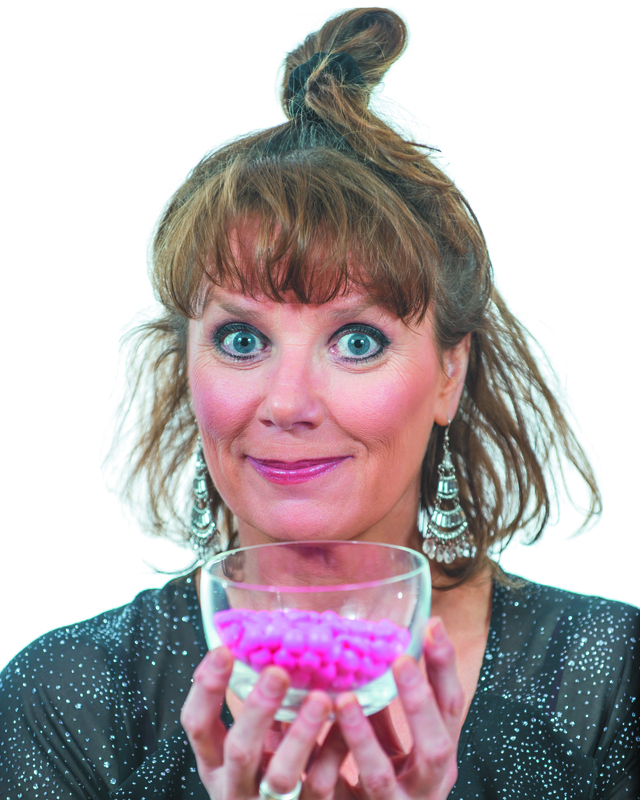 DELIGHTFUL, INCISIVE ONE-WOMAN BLACK COMEDY STARRING BELFAST'S "QUEEN OF COMEDY"
But her romance with suicide is rudely interrupted by an intruder, a snoop and a policeman... Nuala McKeever, Belfast's 'Queen of Comedy', delivers a poignant, hilarious, disastrous cocktail that's to die for about the resilience of the human heart in the face of well, just about everything that can go wrong in our crazy modern lives. BROADWAY BABY 04/08/14 - A CAPTIVATING "MUST SEE"
If you think a play about the suicide attempt of a woman of a certain age appeals only to a very particular demographic familiar with a very particular mental state, think again. Any play as beautifully crafted as In The Window and performed by an actor of Nuala McKeever's calibre will grab even the most reticent punter and drag them in. They won't be kicking and screaming, I can tell you. Margaret is lonely. Lonely as hell. She's the nightmare none of us want to become. The nightmare every young woman fears becoming: no man, no kids, stuck in a job she hates and a house she can't sell. And there's no prospect whatsoever of any of that changing. No-one ever rings Margaret's doorbell. Certainly not the gent in the tweed jacket she always imagined would one day simply appear out of the ether. Not, that is, until the moment she's been working herself up to. Not until she's about to chase that bottle of budget Rosé with a bucket-load of pills. And that's where it all kicks off. What follows is a hilarious farce involving an intruder, a snoop and a policeman. McKeever has more energy than should be legally allowed. A sole performer holding an audience spellbound for 70 minutes is a big enough ask, but her characterisations of the diverse interlopers in this totally captivating play demonstrate just why McKeever came to have her own show on Ulster Television. She sure has earned the title of Belfast's 'Queen of Comedy'. The fact that's she's also the playwright really does make this a doubly remarkably piece of theatre. Watching the audience in the moments when I was able to drag my eyes away from the tragic Margaret, one man was so utterly absorbed that he mouthed the words after her, finding his own contortionist expressions to complement McKeever's. That alone was worth coming for. But there's much more. Andrea Montgomery's tight direction keeps the pace moving with perfection - just enough time to sit with those sometimes gut-wrenching moments of pathos, swift enough to keep the action moving, and the transitions between the two timed to perfection.